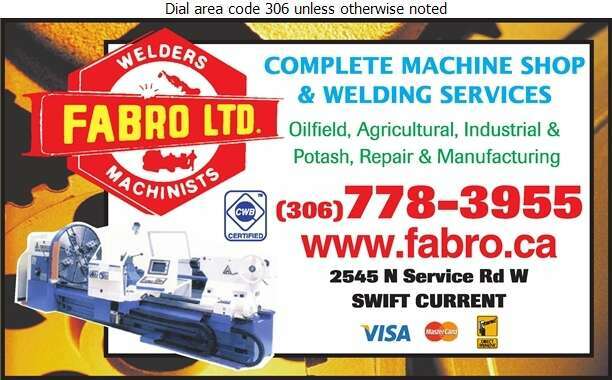 For over 50 years, Fabro Ltd. has been a leading provider of custom machining and welding services for Swift Current and surrounding areas. Over the years, services have expanded to include oilfield, potash, agricultural and industrial repairs and manufacturing. It has a 30,000 square foot shop featuring custom machining and welding. Fabro has the technical capabilities to complete any repair and manufacturing service or custom built from start to finish. Throughout its expansion, Fabro has focused on providing the highest level of customer service in all of its divisions. CNC Threading, Tubing & Casing to 12 1/2"